The Rizalman Fashion Show is looming around the corner and it cannot be denied that everyone is feeling excited to preview this talented designer’s Raya collection this year. Rizalman’s Raya Collection this year plays with the concept of English monarchy twisted into our traditional wears bringing out the utmost elegance. 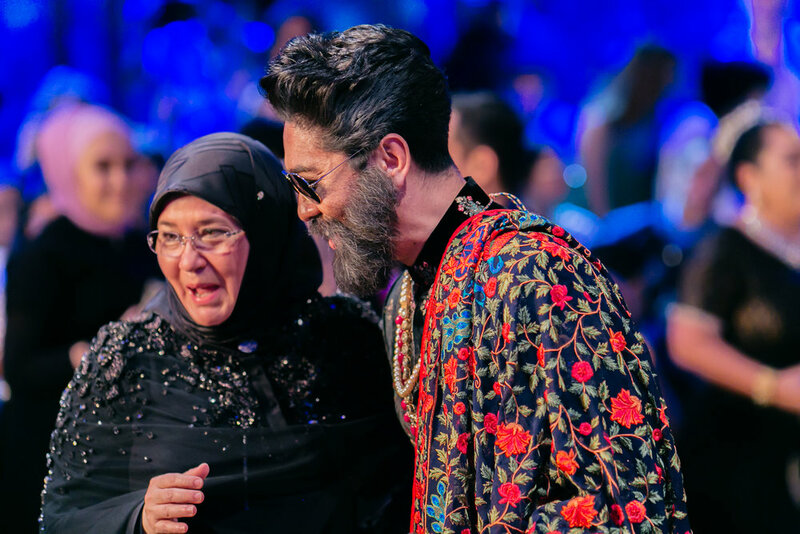 Interested to get up close and personal with the amazing designer himself, we had the chance to get an exclusive ZALORAYA2019 interview with Rizalman Ibrahim. Read our interview with him down below. 1. When did you start falling in love with fashion and decided to pursue a career in it? 2. What is the best thing about being a designer? The best thing is probably so that you direct and command people by the trend you created. 3. How would you describe your Raya collection this year? This year, it is purely British, elegant, and affordable. 4. What separates this year’s Raya collection than your previous ones? We move to a different continent of the world. Last year it was all about India. 5. We know it is impossible to choose from your own creation, but which is your favourite piece from this year’s Raya collection? I love all the floral print as that speaks British immediately. 6. What do you look forward to every year during Raya? The sales numbers of my brand. 7. Which colour do you think will dominate Raya this year? 8. Which classic Malaysian movie would you like to see recreated in wayang kulit form? Any of the movies from the late Allahyarham Tan Sri P Ramlee. 9. In your opinion, should wayang kulit be more exposed to the younger generation? Of course! Because you see…we are all living our lives as though we are all characters of the wayang kulit. We all are hiding behind the screens of our smart phones. We condemn people, criticize people openly without disclosing our identities. 10. Are there any upcoming projects that your fans can look forward to this year? We would love to know. I have a new Interior Deco project of the Istana Negara and I am going internationally as an ID designer. Also, this year I plan to stop colouring my hair and to embrace my grey hair. Interested to don on one of Rizalman for ZALORA 2019 Raya Collection? Stay tune on our site as this designer’s collection will be officially launched in ZALORA on 28th March 2019.